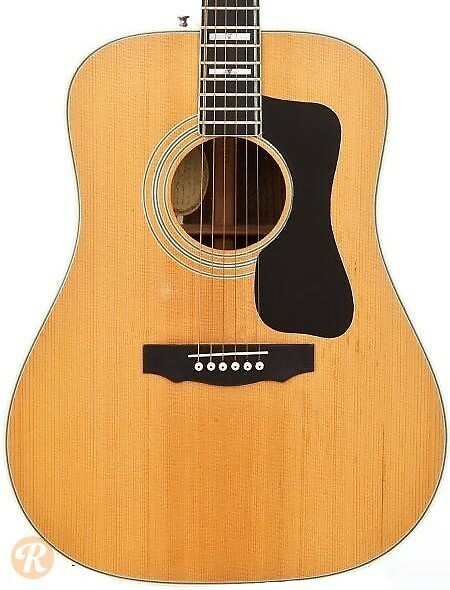 In the late '60s, the D-55 was dubbed the TV Model and entered the Guild dreadnought line-up as the flagship model. Though similar in design to the D-50 or D-40, the D-55 features higher-end cosmetic appointments like block inlays, as well as an Ebony bridge and three-piece Mahogany/Maple neck. Note: Pictured example is from 1974.